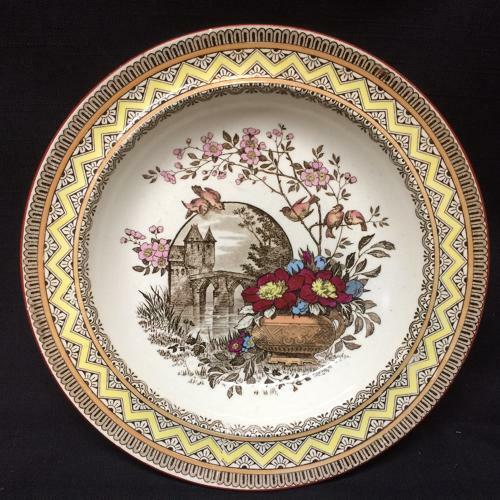 This Victorian aesthetic 9 1/8 inch wide plate is transfer printed in delicious chocolate brown. Fantastic soft pastel hand painting under glaze. The pattern features a fantastic yellow banded geometric border with a central well of an urn with a plethora of large exotic flowers, five birds nestled amongst the dogwood branches, and a cartouche of a stately house on a lake. Condition is Excellent. Never used.